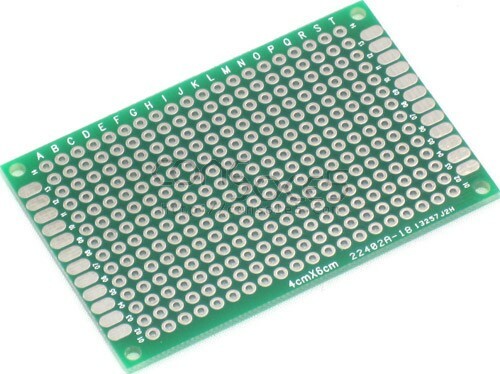 Use this perfboard to construct simple circuits, such as A/V modifications. This board can also be scored and snapped to create smaller boards. Plated holes on both sides, with perimeter solder pads on left and right sides, both front and back.